An absolute bargain. 120mm rear exhaust, 2x140 slots at the top, 140mm bottom slot, 140mm side slot, 2x140mm front slots. Support for radiators left right and center. I think I might be able to do a 240mm slimtop+280mm thick front+120mm thick rear, if I wanted to do a custom loop. 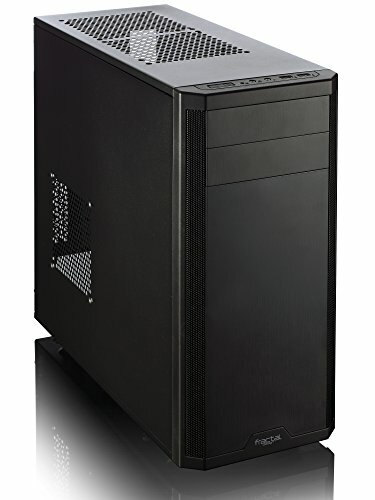 It comes with two 120mm fractal fans preinstalled, which I would say is more than plenty for your average, non OC gaming rig. It has got dust filters bottom and front, but lacks such at the top, side and rear. I've covered the top so that cat hair doesn't rain into the case, and the rear is exhaust, so that's fine, but I'm not too sure about the 140mm side slot. There's no noise isolation material there, nor dust filter. Just a mesh, meaning that I can hear all the fans inside as if the side panel was off. The space behind the tray for cable management is reasonable. I would say pretty good for this budget, but compared to more expensive cases, rather tight. The SSD mount is certainly useful, but make sure you have a straight SATA data and power connector, as my initial PSU(XFX) only had a 90 degree plug, which as you might imagine, was impossible to plug in to the SSD mounted at the back. I wish there was one or two more slots there, but alas. For £34 having an SSD slot behind the tray is quite something to begin with. The vertical SSD/HDD cage I find is very practical. 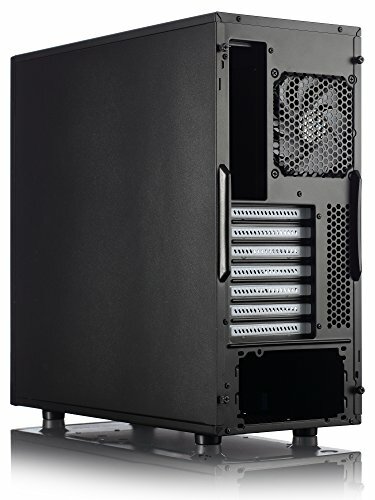 Leaves room for huge GPUs/Cable management/bottom fan/ thick push/pull front radiator, while still being able to house 3xHDDs+3x(+1 behind the mobo tray) SSDs. Perfect case for a single GPU, but I think a second GPU might run a bit tight for air with how close it would be to the PSU. Best buy for the money. I got this case for $35 at the time, and I am glad I did. 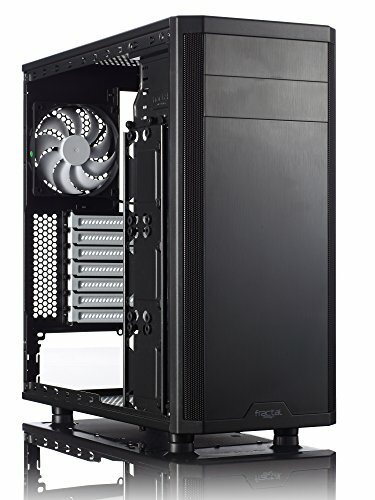 This case has pretty solid build quality, although the spot at the top for a radiator bends a little with lots of weight. It has support for 140mm fans, multiple spots for solid state drives, although mounting those was difficult. The instruction manual isn't anything special, but this case was phenomenal for the price of an NZXT source 210. Quality materials, alright cable management, comes with two fans pre-installed which are silent! 5/5 recommended. If you're a cable management freak look elsewhere. Very nice case. Its only 50 Euro and it comes with 2 silents 120mm fans. there was enough space for my cables and it also looks sleek. The only thing bad about this case is the dust filter because it can come off very easily. The only part worth reviewing in this build. Excellent case for the money. For budget builds I absolutely recommend it. The design is really minimalistic,not cluncky,nice and light and there's enough space behind to do the cable management. A big bonus is that it has TWO already installed case fans providing great airflow for a cheap price.Very spacious thanks to the smart placement of the drives. The drives are installed vertically and not horizontally like in most cases. This however gives it the drawback that,if you have a long geaphics card, the first drive bay is useless because the cabling would be veeery troublesome. Despite that you can normally install your drives at the other bays. I am impressed at the quality for this price. Perfect for beginner builders! from completed build The Troublemaker- Build for my grandparents! nice amount of room, but not good enough for big gpus. power button may be in an inconveniant location for some. Very minimalistic, low-profile case, does it's job.